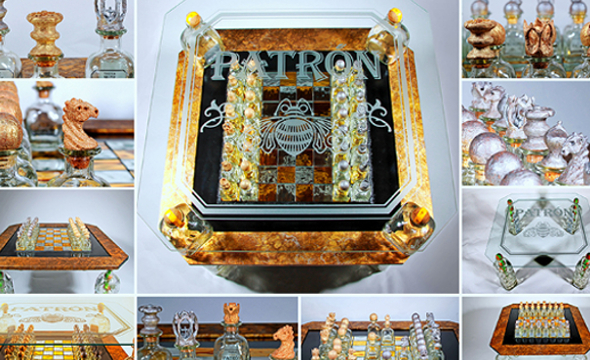 I submitted a custom chess table to the Art of Patron contest and won the grand prize!! The competition called for the best sculpture or functional art using a Patron bottle or logo. It took about 6 weeks and over 70 hours to finish Batalla de los Espiritus, but, it was well worth it.